Turning 21 is a big deal for American kids: the number signifies glowing up, turning up, and possibly blacking out afterwards. 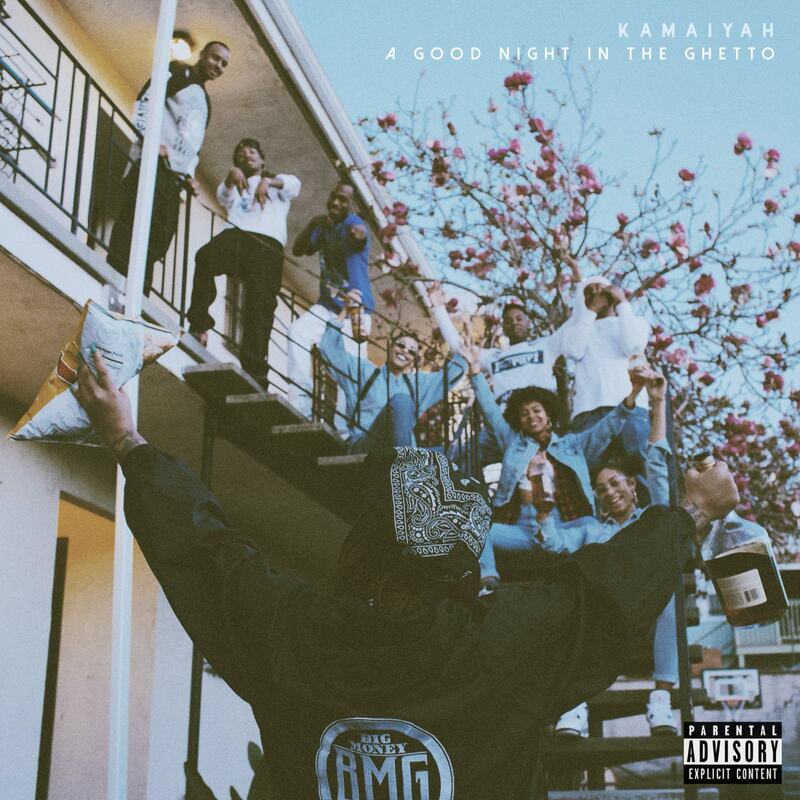 For West Coast-hailing rapper Kamaiyah, the big two-one meant all that and a bundle of nerves, because just one day after her birthday was the scheduled release of her first mixtape, A Good Night in The Ghetto. Around this time last year, the now 22-year-old was worried about how everything – her Oakland roots, inimitable persona and debut project – was going to be received by both critics and fans. But one year later, it’s safe to say that things worked out magically: the mixtape is regarded to be one of 2016’s best releases by even the music industry’s toughest critics, and that twinkling label is necessarily warranted. A Good Night is not an excellent debut mixtape. It’s an excellent mixtape, period – one with the energy and inimitability that epitomizes Kamaiyah’s vision as an artist who creates at the intersection of youth and artistry. And for that reason, the one-year anniversary of A Good Night is so celebratory. Those unacquainted with A Good Night probably question the importance of Kamaiyah’s 22 years on Earth – that number isn’t small enough for anyone to feel impressed by her artistry on the sole basis of age, and it’s not nearly large enough to make people think of her as a sage of rap lyricism, like Nas or Jay Z. But there’s charm in being an early 20-something, someone who’s either fearfully quavering or joyously shaking on the ledge of adolescence, nevertheless staring down adulthood with overwhelming emotion. On A Good Night, Kamaiyah uses the disposition of youth and its facets – independence, responsibility, relationships – thematically, and significantly so. Rappers are not hesitant to make poetry out of their childhood experiences; doing such is pretty much second nature for them. Despite this ease, rarely are hip hop fans gifted an album that narrates youth in the moment, rather than as a reflection. There’s a different kind of merit accompanying tracks like “Mo Money Mo Problems,” “How Does It Feel,” and “Ain’t Goin Home” that don’t appear on a 29-year-old J. Cole’s 2014 Forest Hills Drive, and that merit is presence. As artists like Cole look back at their days 10 or 15 years ago, Kamaiyah lives in these moments – which is exactly why A Good Night is a necessary listen for millennials reaching for something that resonates with them instantly. Regardless of whether one’s hoodrich or actually rich, 18 or 23, they’re going to understand – to some extent – what nearly all of Kamaiyah’s verses are about: embracing the opportunity to let lose while it’s still possible.